This is one of our newest winter and Christmas holiday outfits for boys. 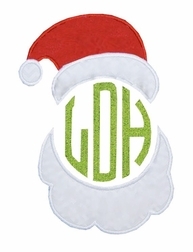 So adorable is Santa made from your little one's 3 initials in lime green with his red hat and white beard. Your little one's 3 initials form Santa's face. 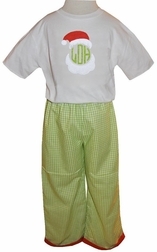 Available in a John John, longall or pants set as shown.